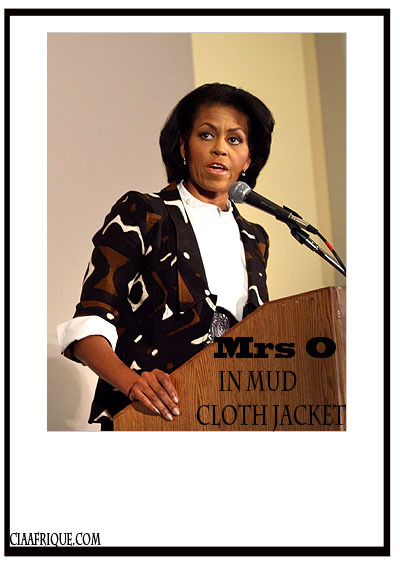 Right before she became the First lady of the USA and stole the heart of millions with her sense of style Michelle Obama wore this beautiful Mud cloth jacket to an event in 2008. Michelle Obama is not the first celeb we've seen in Mud cloth or mud cloth inspired. Who else is lovin' the mud cloth? check it out here .